The Main Street Redevelopment plan calls for the redevelopment of the municipal plaza and train station. New buildings and amenities will enliven the city center and enhance user experience for public transit riders. 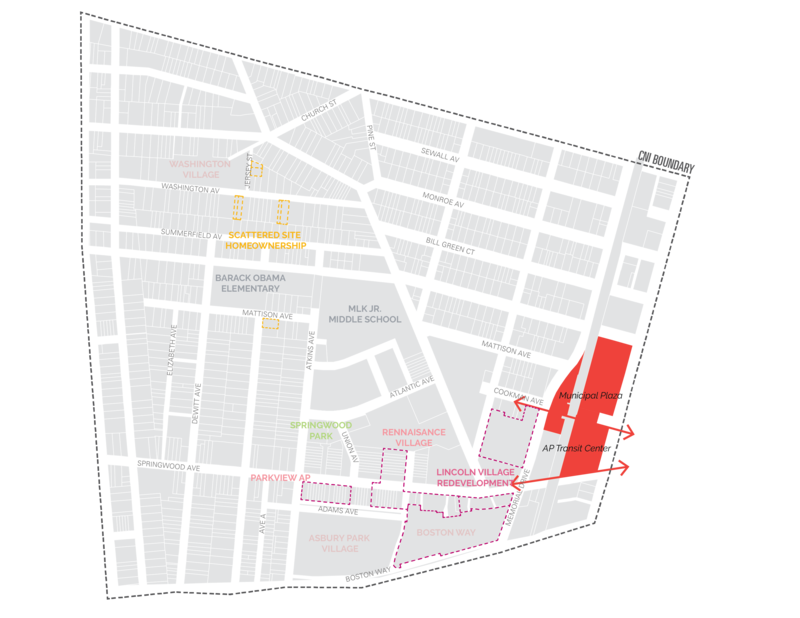 This is also an opportunity to create a seam between the East and West Sides and physically reconnect the city. 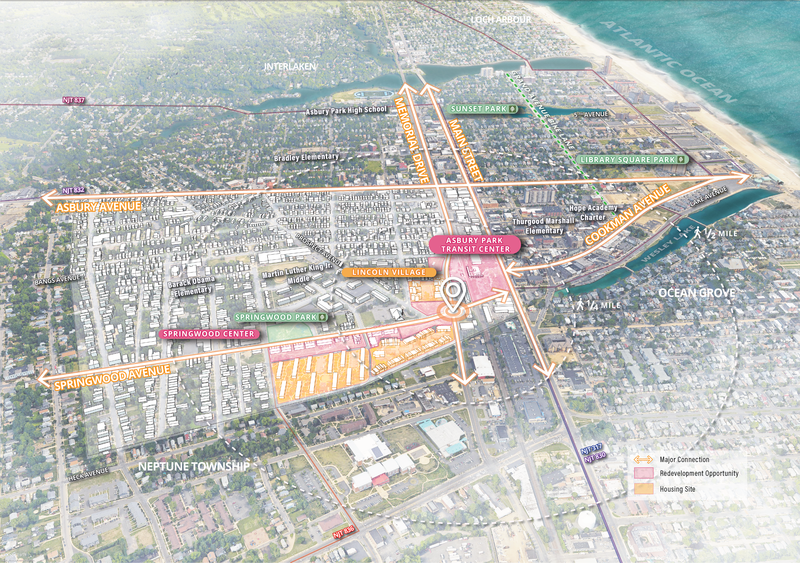 Providing particular impetus to this redevelopment is the City’s recent designation by NJDOT as a Transit Village, which qualifies the train station and municipal plaza area for funding to create a multi-modal, mixed-use hub.